← Millheim Fiber Festival! Saturday, Oct. 28th! 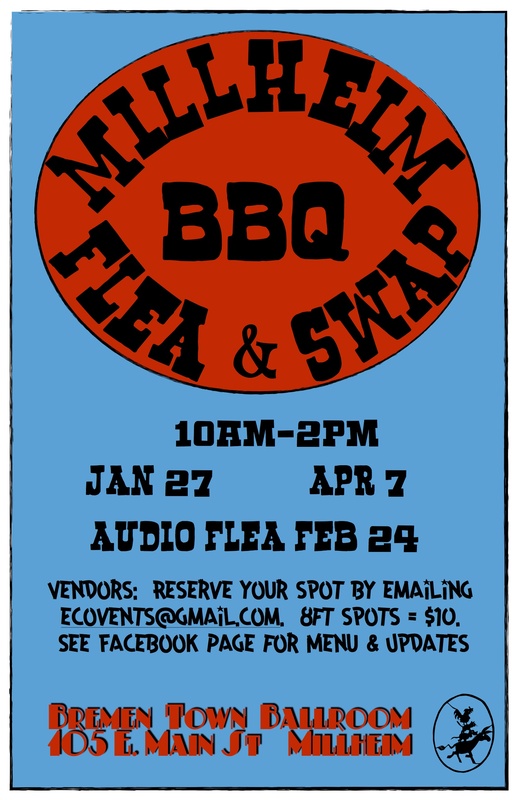 This year we are having 2 “regular” fleas on January 27 and April 7, and 1 “Audio Flea” on February 24. The hours are 10am-2pm. Folks are asking, “What is an Audio Flea?” So I’ll tell you what it is, or at least how I see it happening. As always, we’ll have great smokey BBQ straight outta LeRoy the Smoker! 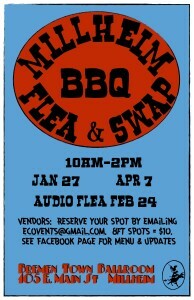 For more information about vending, please email Erin at ecovents@gmail.com.